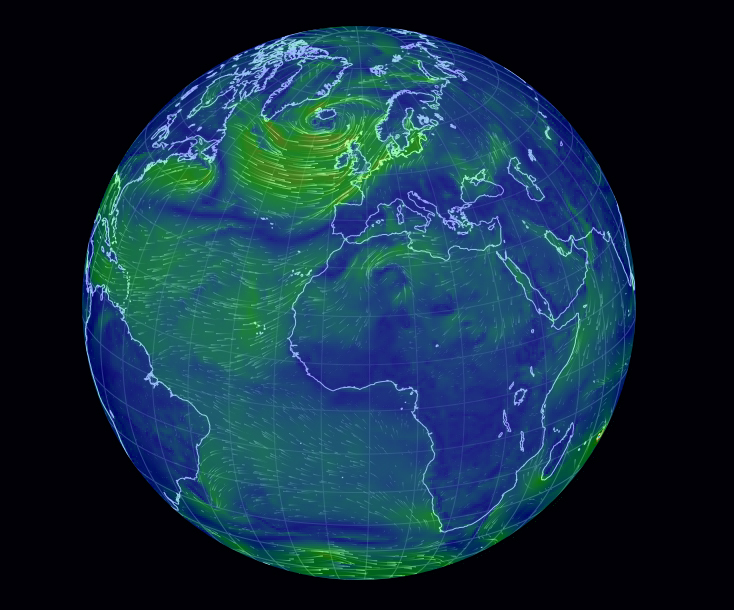 Amazing Earth wind maps by earth.nullschool.net may be useful for getting an idea about forcast winter storms affecting central and northern Europe during the upcoming Christmas days. Data by the National Weather Service’s National Centers for Environmental Prediction’s Environmental Modeling Center are being updated every three hours. While an enormous Icelandic low pressure trough is right now responsible for mild and somewhat windy weather in western and central Europe, November 2013 has been identified by the National Climatic Data Center as the hottest on record (+0.78o C above the 20th century average) mainly due to extreme temperatures in southern Russia and northwest Kazakhstan. 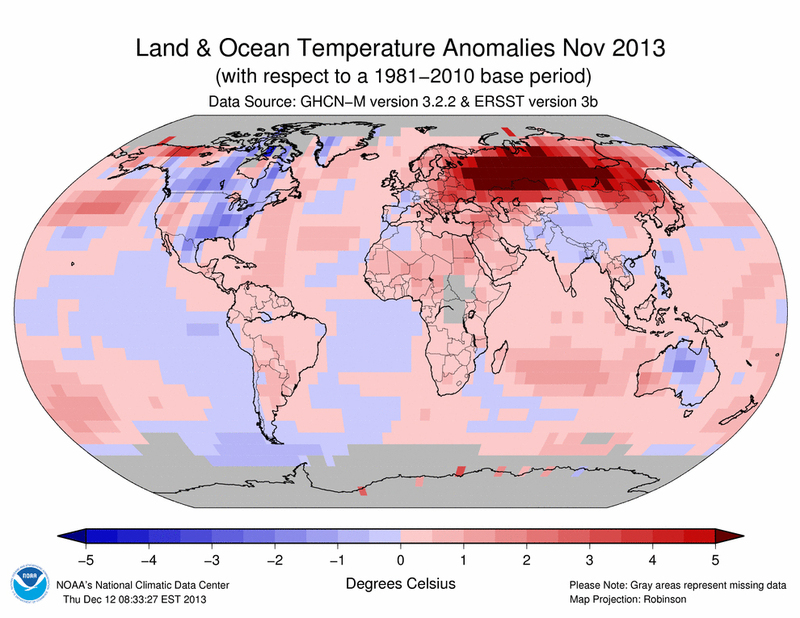 In particular Russia “observed its warmest November since national records began in 1891. Some areas of the Urals, Siberia, south of the Far East region, and on the Arctic islands in the Kara Sea had temperatures that were more than 8°C (14°F) higher than the monthly average.” The average November temperature across Norway was 1.5°C (2.7°F) higher than the 1981–2010 average, with some regions 2°–3°C (4°–5°F) above average. That did apparently not apply to Tromsø where cold and snowy conditions came early and stayed. 22 December 2013 @ 10:05 am. Last modified December 22, 2013. This entry was posted in Climate and tagged earth.nullschool.net, global warming, Icelandic low pressure, Kazakhstan, Russia. Bookmark the permalink.